Mr. Vitousek is the resident Partner with the firm’s Hawaii Island Offices. Mr. Vitousek's practice concentrates on Real Estate Development and Administrative Law (with a focus on oceanfront residential permitting), Hospital Law (liability and risk management, medical staff issues), Employment Law, General Business and Commercial Law and Litigation, and Hotel/Hospitality Law. Mr. Vitousek was a law clerk to Justice H. Baird Kidwell in the Hawaii Supreme Court from 1976 to 1977. He is the former President of the Hawaii State Bar Association Young Lawyers Division and the former President of the Hawaii Institute of Continuing Legal Education. 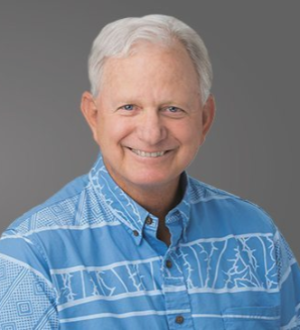 Mr. Vitousek taught appellate advocacy as an adjunct professor at the William S. Richardson School of Law, University of Hawaii (1980 to 1986) and taught hotel law at the University of Hawaii, School of Business, Travel Industry Management (1983 to 1987). Mr. Vitousek opened the firm’s Hawaii Island Offices in 1987. -Mr. Vitousek represents individuals and families who purchase land and build homes in coastal or other highly regulated areas, primarily on the islands of Hawaii and Kauai. -Mr. Vitousek also represents businesses and investors in purchasing and selling hotel, resort or development properties.